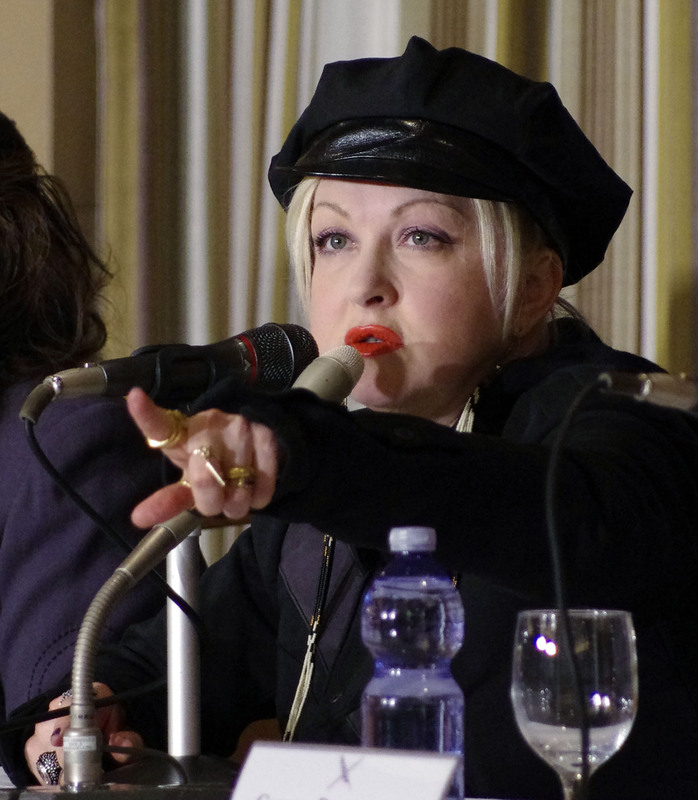 World heart throb and women`s activist, Cyndi Lauper, speaking to the foreign press in Tokyo, highlighted to crucial need to not forget the terrible disaster in Tohoku one year after March 11, 2011. “The common term of encouragement in Japan is to tell the affected people, “ganbatte” ( be strong ) but in fact the men, women and children who survived the massive disaster are courageous and doing their utmost best. We need to support them by sending our love to tell them we have not forgotten their nightmare experience,” she said. The rock star diva who has developed a close affinity to Japan through several decades of performance and admiration for the Japanese culture, arrived in Tokyo to participate in national mourning observed on the first anniversary of the Great East Japan Disaster that killed almost 20,000 people and have still not accounted for. 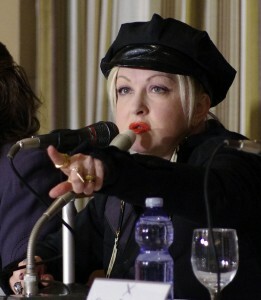 Ms Lauper`s concert in Tokyo on March11 to mark the memorial was sold out as thousands of fans packed the hall to pay their respects with her. She created a massive tsunami of love among the audience for the disaster survivors when she sang Wasurenai, (Do not forget) in Japanese, further strengthening her deep bond with Japan. But Ms Lauper has not stopped there. Indeed, in a display of her characteristic outspokenness, she has identified practical steps on how the world can continue to support Tohoku. She spoke of the importance of keeping the local economies alive in the destroyed areas to bring hope the communities. She spoke of her efforts to support a tsunami destroyed shop in Ishinomaki, in Miyagi-prefecture, that sold musical instruments. “Since that fateful day the owner, Mr Sarukawa, has been repairing every key on the piano that had been washed over by salt water. “I wanted to buy the piano to be dispatched to local schools so he could continue with his livelihood and schools could also benefit,” she said. 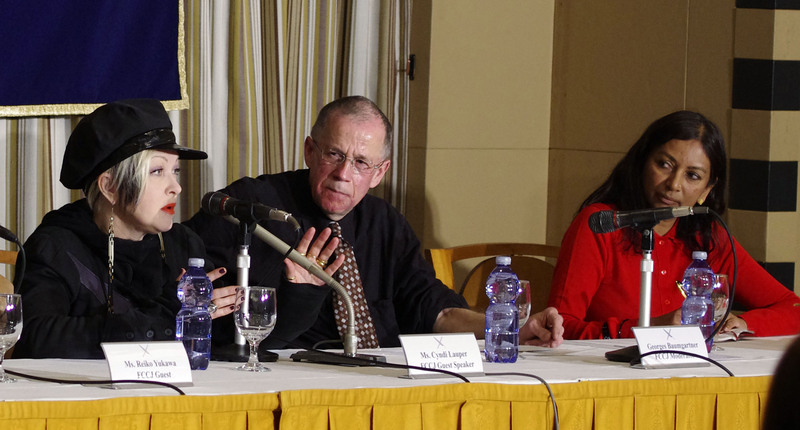 She also spoke about the Fukushima nuclear accident that has raised a dark cloud of radio-active contamination in the area leading to people shunning the local products and reports of social discrimination. “You cannot become contaminated by spending time with people from Fukushima,” she pointed out, addressing the silent discrimination in Japan faced by residents of the area. Lending humour to her message that focused on the importance of providing solidarity, she also spoke of how she enjoyed drinking Japanese rice wine or sake made in Fukushima prefecture during her visit to Tohoko this time, which she said “is good for the skin,” she laughed. Ms Lauper has also planted cherry blossom trees in devastated areas which she believes would help to revive the devastated areas that must be rebuilt again with earth fills. “When they bloom the trees will be symbol of hope in the area,” she said. She ended her appeal for continuing support and bonding with the people by talking about the merits of music as a powerful means of healing which is what she advocates and practices. With recent media surveys showing that 81 percent of the people polled in disaster areas report they feel that nothing much has changed for the better since the tragey, Cyndi`s message of love represents a strong call for continued efforts to work with the affected populations in Tohoku.